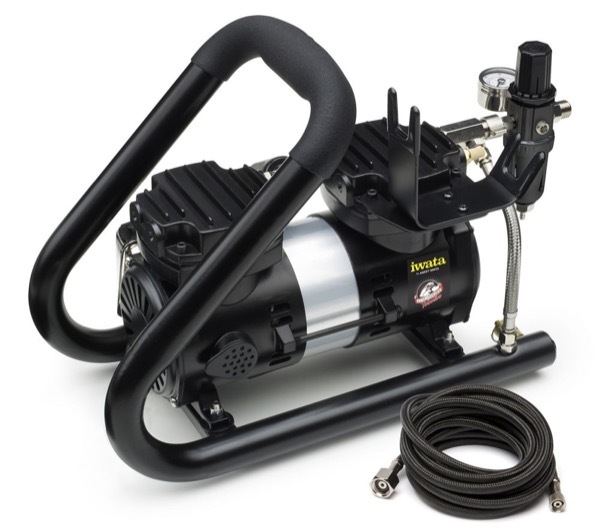 Iwata Power Jet Plus Tubular airbrush compressor is a power-enhanced compressor with auto-shut-off feature and twice the RPM, it has an adjustable working pressure of 1-50 PSI. The clever, tubular air tank serves as a carry handle for easy mobility. Built-in airbrush holder and Iwata airbrush hose included.